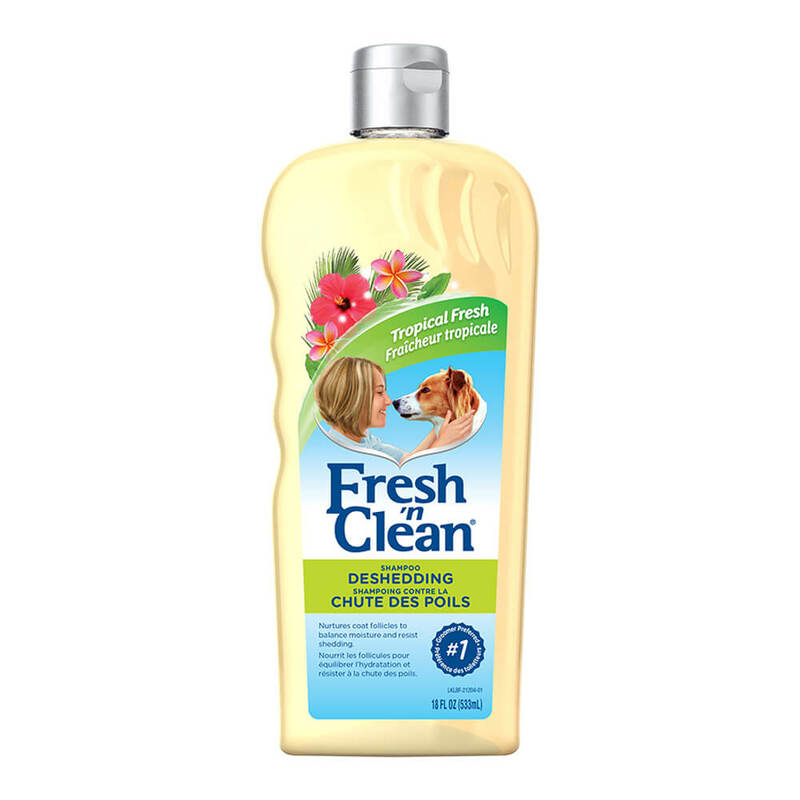 Fresh ’n Clean Deshedding Shampoo envelops your dog in hydrating moisture, omega 3 fatty acids and humectants to keep skin soft and supple while protecting against water loss. The result is a healthy, nourished coat that stays on your dog – not on your clothes. Tropical Fresh Scent lasts up to 2 weeks. Purified water, natural derived cleansing agents (sodium laureth sulfate, sodium lauryl sulfate, cocamide MEA, cocamidopropyl betaine), natural humectant and emollient (glycerin), foaming agent, solubilize, fatty acids (safflower oil, olive oil), surfactant, detangler enhancer, opacifier, thickening agent (sodium chloride), fragrance, soothing agents (Vitamin E, aloe vera extract), coloring agents, natural pH adjuster (citric acid), preservatives.